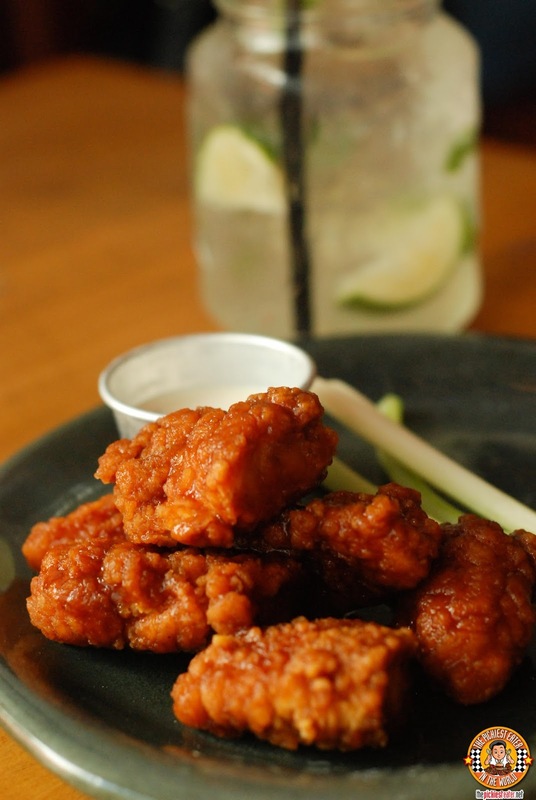 THE PICKIEST EATER IN THE WORLD: APPLEBEES: CELEBRATING EVERYTHING AND HAPPY HOUR! 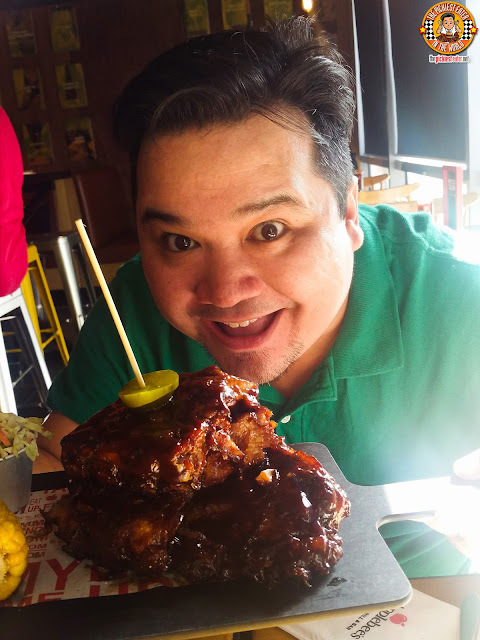 Ever since she visited the pre-opening Sneak Peek event at Applebee's in Bonifacio Global City last year, Rina has been raving about their food. I took her gushing about their food with a grain of salt, because I had been to Applebee's in New Jersey a couple of years ago, and although I did enjoy our meal there, it wasn't something that I feel I need to go back to given the chance. Rina, however, was adamant. She kept saying, "Trust me.. The Applebee's here is better than the one in the states!". A bold claim, but as I would find out a few months later when I was invited to Applebee's Happy Hour.. she was 100% accurate. 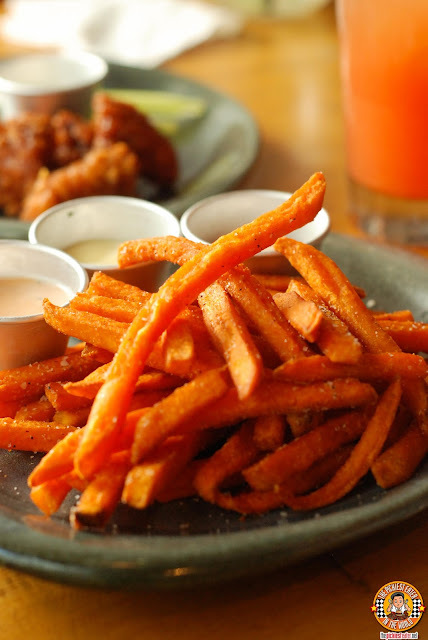 Whether it be potato or sweet potato, I'm a fan of thin cut, crispy fries, so I attacked the platter of Sweet Potato Fries and Dips (P195) when it was placed in front of me. The fries comes with sauces that will please virtually every palate.. The BBQ Bacon Ranch, Maple Sauce (My two faves), and the Sriracha Chili-Lime dip. If you can have only one of these Boneless Chicken Bites (P375), and not get a second serving, then you my friend are a stronger man than I. Coated in a luscious Classic Buffalo Glaze, the chicken cutlets are remarkably tender and juicy, and works magic on your taste buds when dipped in the sour cream. You can also opt for other flavors, such as the Honey BBQ, Sweet and Spicy, or Korean BBQ. 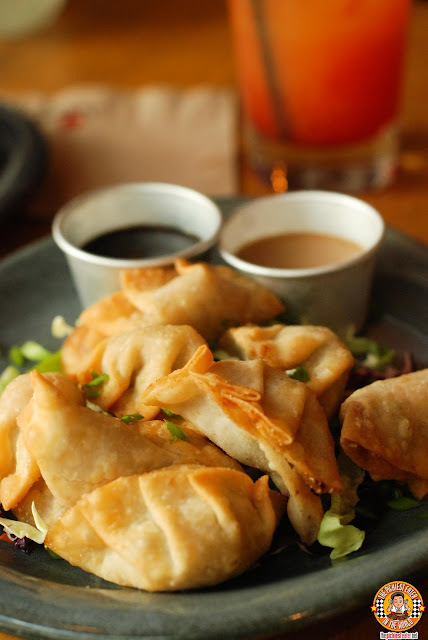 I'm a sucker for deep fried dimsum, so I couldn't get enough of Applebee's Pot Stickers (P325)! Delicious deep fried dumplings filled with a pork and shrimp mixture, tasted even better when dipped in the Thai Peanut Sauce! I'm almost ashamed to admit it, but I enjoyed the Green Bean Crispers (P195) a lot more than I thought I would. 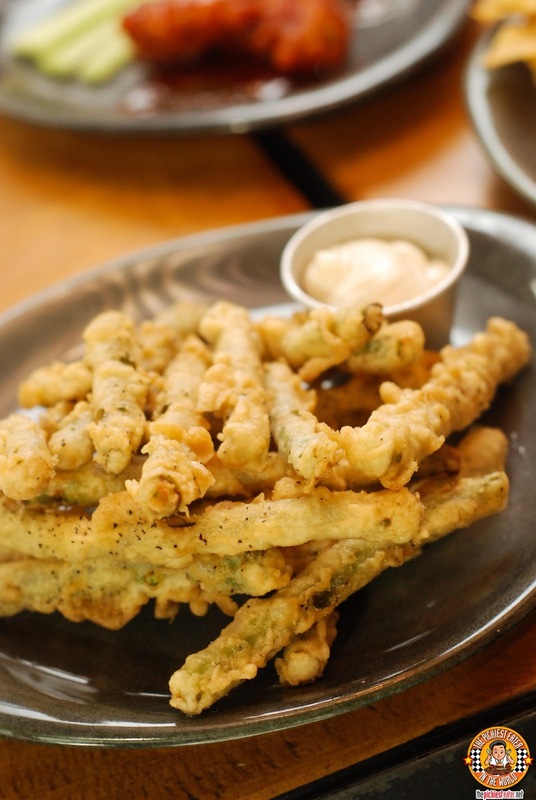 Who would have thought that deep frying Green beans would change the dynamic of the vegetable! It tasted actually quite good with the Lemon Aioli that it came with. For me, the highlight of the day was the Wonton Tacos (P225). These are absolutely magnificent. 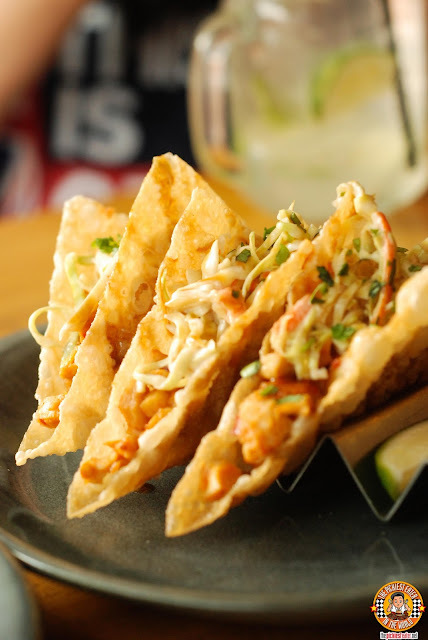 Shredded Chicken in a spicy marinade are stuffed into wonton taco shells, and filled with coleslaw that balances the heat from the chicken. I'm telling you, this is so good, friendships/relationships will be tested if you order only one one of these for the table. The Southwest is represented beautifully by the stuning Fiesta Lime Chicken (P395). 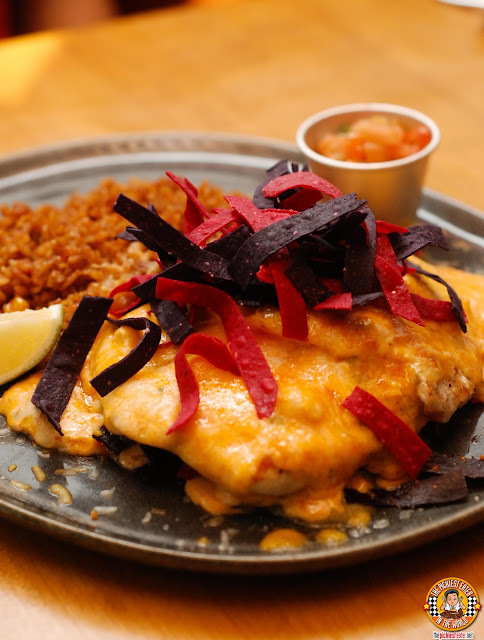 A juicy chicken is masterfully grilled, then coated in a blanket of Jack Cheddar Cheese, then topped with tortilla strips for added texture, then served with Mexican Rice and Pico De Gallo. Rina isn't a rib girl, so when she says that a place makes good Ribs, then it means that it must be pretty damn good. One of the dishes she was raving about was the Pork Ribs (Half Slab P650/Full Slab P950), and for good reason. This was sensational. 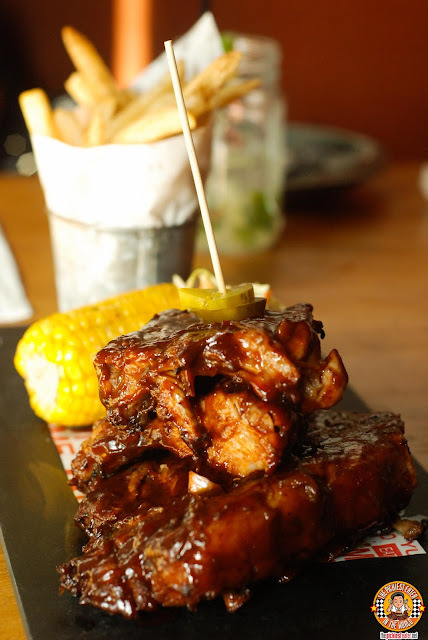 Coated in a delicious Honey BBQ Sauce, the meat tore cleanly off the bone giving way to incredibly tender meat. The flavor was absolutely amazing. Other sauces include Smokey Chipotle, Sweet and Spicy Asian, and Korean BBQ. 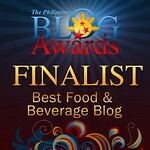 I was completely mesmerized by the Bourbon Black and Bleu Cheeseburger (P575). First off, the cook on the burger patty was impeccable, and is enveloped in a melted slice of jack cheese. 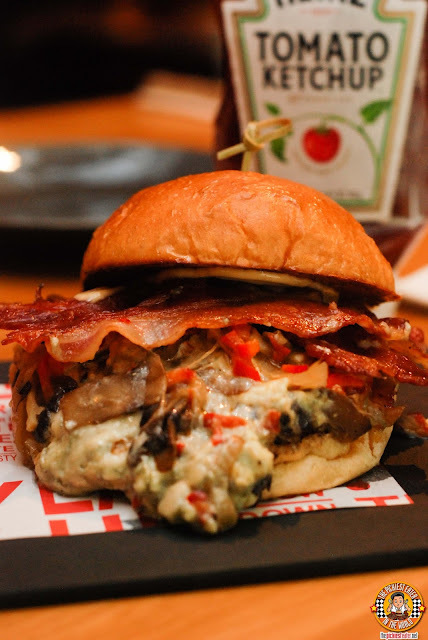 But more than that, all the elements, such as the onions and mushrooms caramelized in Bourbon, the crumbled Bleu Cheese, and the mind blowing strips of crisp bacon are brings this burger to new heights. Without a doubt, the most unique burger on Applebees menu is the Quesadilla Burger (P525). 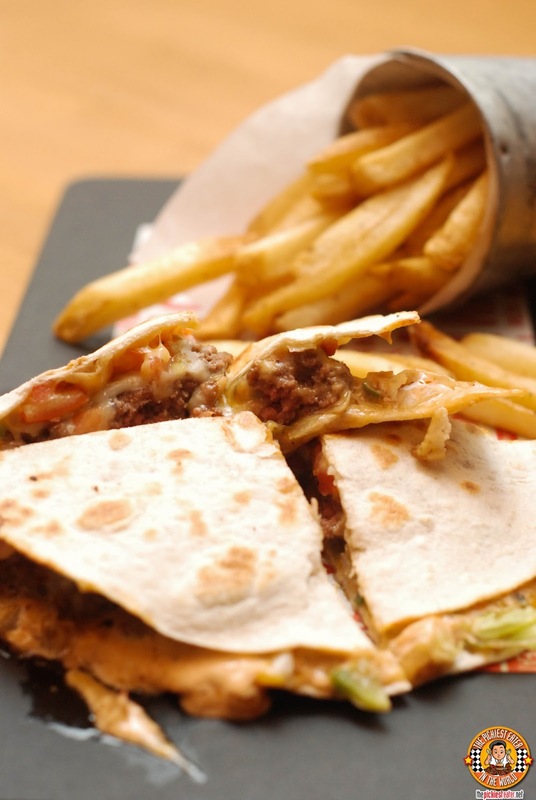 The juicy patty is tucked between a a toasted tortilla, and smothered in Applebee's Mexi-Ranch sauce, and Pico De Gallo. Remarkably vibrant flavors that will tantalize your tastebuds! Believe it or not, I'm not too big on chocolate.. I prefer creamy, more butter based desserts. Which is why i really enjoyed the Butter Pecan Blondie (P325) that we had for dessert. 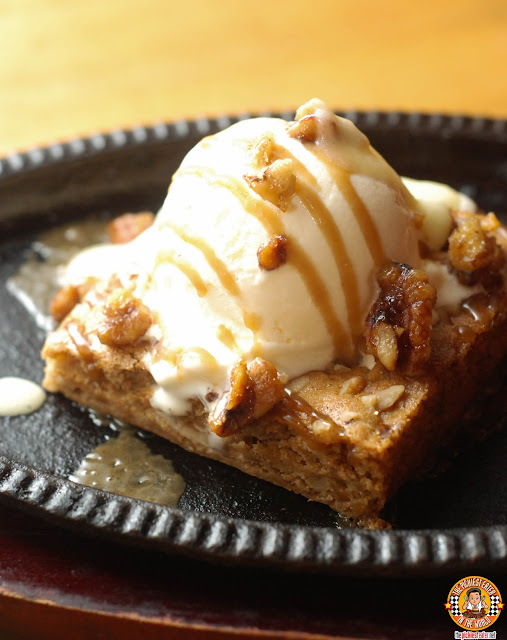 A mouthwatering butter brownie baked with nuts, a drizzling of cream cheese sauce, then topped with Glazed Pecans, and a scoop of Vanilla Ice Cream will remind you of everything that's good in this world. Happy Hour at Applebee's is at 2pm to 7pm, and 10pm till closing! 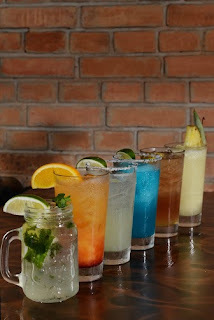 You can find cocktails such as the Classic Mojito, Lime Margarita, Moonlight Margarita, Long Island Ice tea, the Classic Mojito, and the Pina Colada.. with prices starting at P89, Applebee's truly is the best place to Celebrate Everything! After the cocktails, the gang continued to Celebrate Everything with a round of Applebee's famous Sangrias! Mixed Berry is Rina's Favorite! 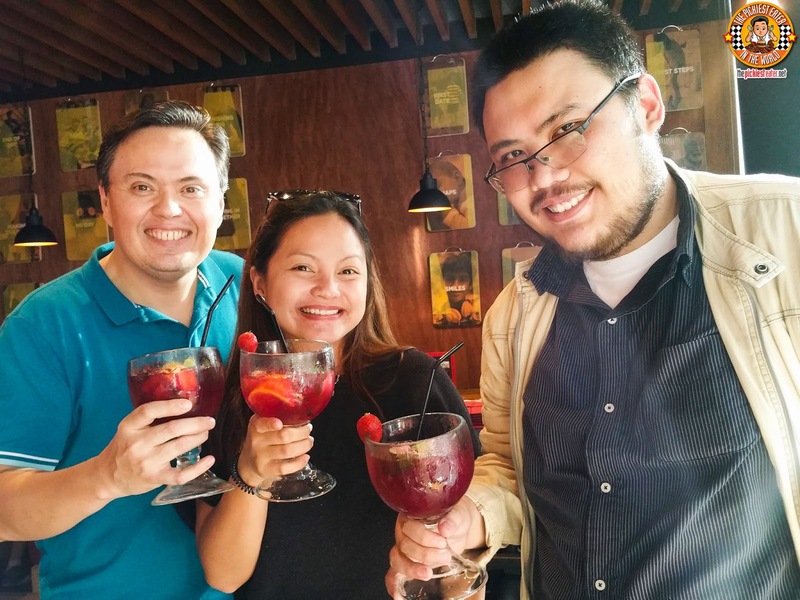 Cheers from the friend of the KTG, Big Bob, my Rina and Hefty Eugene! Oh my! Hungry on my end! Will save for this later and enjoy soon. Hoping that they will open new branches soon. i hope so too!! Enjoy!